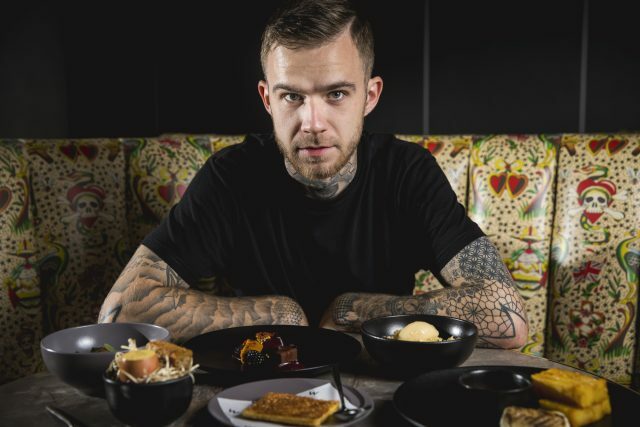 The super talented, artfully inked Ben Murphy of Launceston Place is the latest chef to host a takeover at The W hotel’s Perception restaurant as part of its Dining Series. 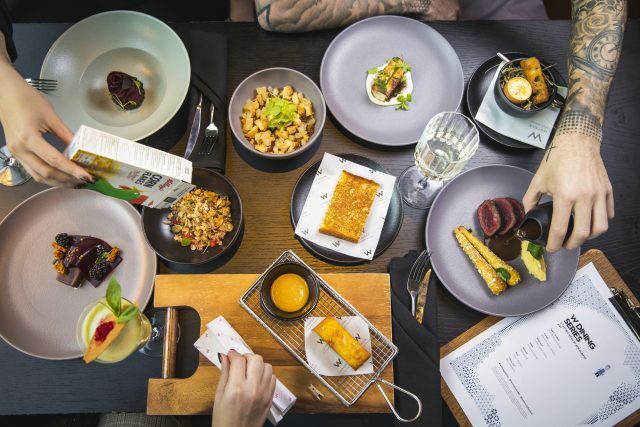 Running until next spring, Murphy’s seven-course tasting menu is inspired by childhood memories, and each dish tells a story, from the pears picked in his grandmother’s garden to a clever twist on chicken liver parfait served from a Cornflake packet. 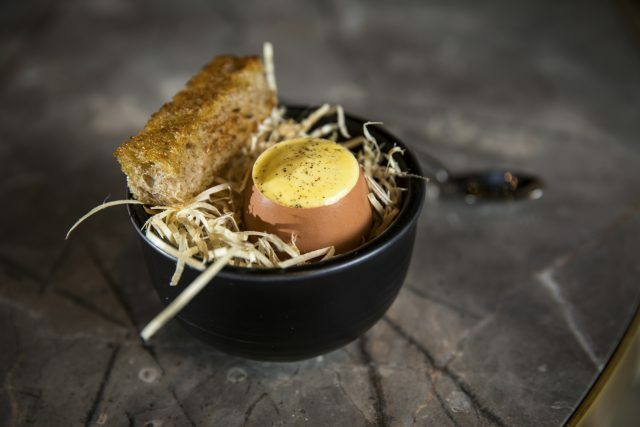 The star of the show was his opening dish, egg and soldiers – a staple at Launceston Place, which evokes the simple, sticky pleasure of gooey egg and hot-buttered toast, but with the very grown up addition of foie gras mousse.